SPECTREOUTREACH.com: Gardening on your table! 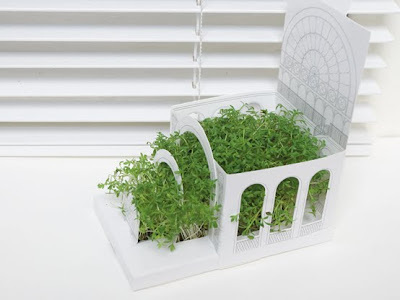 Wan to have your personal gardening space on your table? 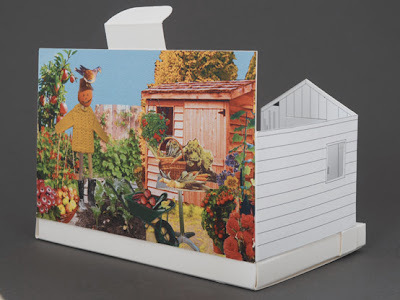 Errrrr..... Ta Da introducing the Postcarden, a pop-out card that transforms into a bite-sized allotment. Beside a greeting card, it can be used a gift that pop out vege! REALLY! Postcarden is available in three designs: Botanical, City and Allotment. Recipients open and unfold the card, then sprinkle water into the base and scatter the enclosed cress seeds onto the damp paper. 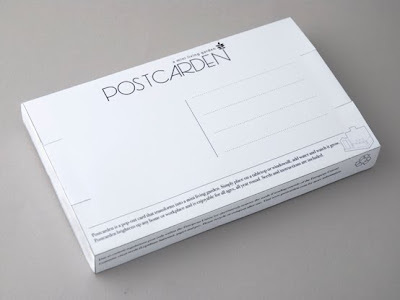 The Postcarden will start to grow in a few days, and will keep for two to three weeks; once grown, the cress can be eaten. 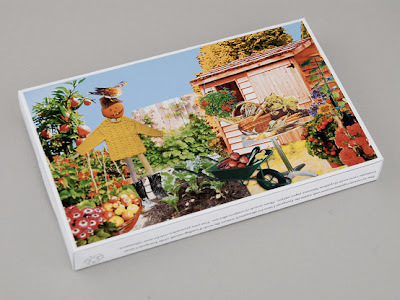 Designed and produced by UK-based A Studio for Design, the cards can be sent through the post and are printed in Wales by Ethical Packaging; the seeds and inner tray are sourced nationally as well. Each card costs GBP 7.50 and features enough space to write a personal greeting.